The Epcot International Food & Wine Festival is an annual event celebrating the diversity of food and wine. 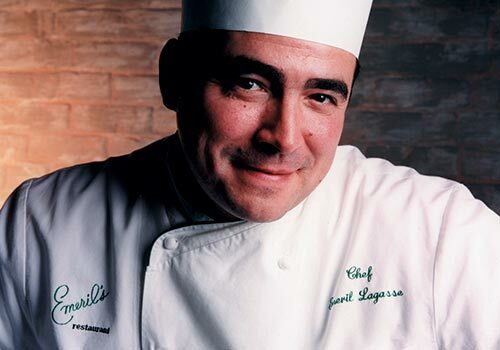 Attendees will be able to sample offerings from celebrity chefs, go to live cooking demonstrations and live concerts. Admission to Epcot theme park is required for entry into the festival. Walt Disney World's annual Halloween party is appropriate for all ages. Events include a "Boo-to-You Halloween Parade" featuring Disney characters, a fireworks show and more. Trick-or-treat around the park as special lighting, music and themed effects transform the Magic Kingdom into happy haunted hollows. Immerse Yourself In A World Of Horror At Universal Orlando® Resort's Halloween Horror Nights®. Step right into some of the most pulse-pounding moments in horror history at Halloween Horror Nights®, America's premier Halloween event. On select nights the streets of Universal Studios Florida® theme park come alive with a horde of horrifying mutants, monsters and maniacs. You can explore eight terrifying haunted houses, make your way through multiple street experiences where creatures lurk around every turn, enjoy outrageous live shows, and experience many of the park's most exciting rides and attractions. Add Halloween Horror Nights® to your daytime fun at Universal Orlando® Resort for the ultimate in thrills and chills. Think you can handle more than one night of terror? Be wary, or your voice might not be all you lose by the time all the nightmarish creatures are through with you. Come for a day or the weekend to sample wines from around the world and savor culinary artistry from pastries to pasta. The Food & Wine Classic also offers ten educational seminars if you would like to impress friends with your knowledge of wines, cocktails, beer, pasta-making, cheese pairing or the fine art of sushi and sake. Most seminars begin at 4:30 p.m. and last approximately one hour. Mickey's Very Merry Christmas Party offers cheer and enchantment for all ages and interests. Delight in the lights shimmering like ice on Cinderella Castle! And hum along with the holiday music that fills the air. It's a time for wishes to come true! Waves of holiday spirit splash over you during SeaWorld's Christmas Celebration™! Carols fill the air, a sparkling sea of trees lights up the water and skaters dance on ice. Here in this wintery, watery wonderland, you can share a smile with a sea lion, and enjoy stunning live shows inspired by the natural world. With everything from Santa to Shamu®, SeaWorld's Christmas Celebration is where holiday memories are made. Hundreds of vehicles will be showcased during the 2015-Model Central Florida International Auto Show on Thanksgiving weekend. This event offers an up-close look at the newest in automotive technology, including high-end sports cars, compacts, crossovers, trucks and electric vehicles. You'll even have an opportunity to take a test drive. Ring in the season as World Showcase at Epcot comes alive with holiday traditions from around the globe. This Epcot tradition features storytellers, a daily character tree-lighting ceremony and a stunning display of snow-white lights. The Candlelight Processional, a favorite of all ages, includes celebrity guest narrators, accompanied by a massed choir and orchestra for a retelling of the Christmas story. Featuring a 270,000 brick Christmas tree and festive decorations, LEGOLAND Florida's Christmas Bricktacular includes daily Santa Claus appearances. Weekends in December, 2014. This annual holiday celebration is based on the beloved Dr. Seuss tale and Universal Pictures' and Imagine Entertainment's Academy Award-winning blockbuster hit, "Dr. Seuss' How the Grinch Stole Christmas." Seuss Landing at Islands of Adventure is transformed and colorfully decorated for the season. Guests are invited to enjoy a live, musical stage show and meet the Grinch in his lair, which is outfitted with authentic movie props and gadgets. The world's most famous parade has become a holiday experience for park guests at Universal Studios, featuring some of the most popular balloons and floats from the famous Macy's Thanksgiving Day Parade in New York City. The excitement and pageantry of the parade, complete with a festive tree lighting ceremony by Santa Claus himself, is exhibited each day of the holiday season through the New Year. The whole family can enjoy a family-friendly party with Kids' New Year's Eve on Dec. 31. Kids get to rock out in Miniland USA with a live DJ Dance Party that's sure to get the whole family moving. This grand finale features an impressive LEGO fireworks display and a chance to watch the BRICK Drop at just the right time for kids, midnight KST (Kid Standard Time)—otherwise known as 7 p.m. EST. Mom and Dad even have time to attend a party of their own after all the fun at the park. Celebrate our connection to the sea, sea life and the world we share as we ring in the New Year, SeaWorld style. A spectacular musical celebration and bold fireworks display send a wave of welcome to the new year ahead. Pop the cork on an all-new year at a celebration filled with festive music, spectacular fireworks and delectable culinary delicacies. 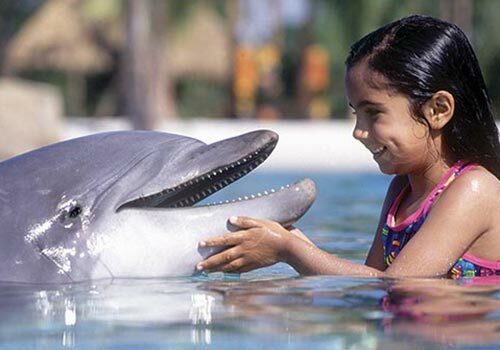 Discovery Cove® is an all-inclusive adventure in which guests enjoy a one-of-a-kind opportunity to swim with dolphins, rays and tropical fish and hand-feed exotic birds. At Discovery Cove, guests experience the most exciting animal encounters the world has to offer in a breathtaking tropical atmosphere. Disney storytelling comes to life in a kingdom brimming with fun, wonder and adventure. Join together with your circle of loved ones to savor thrilling attractions, shows, the majesty of nature and the fascinating animals—real and imagined—that enrich our planet. Salute the world of showbiz—from the Hollywood classics of yesteryear to the best in popular entertainment. Take center stage as the star of your own adventure: from rock 'n' roll fantasy to Broadway-style stage spectaculars, from the silver screen to the TV screen to behind the scenes. The world of "make-believe" comes alive in the Magic Kingdom® Park, where new adventures, fantasy, and fun surround you in seven wondrous lands of enchantment. LEGOLAND® Florida, Central Florida's newest theme park, is a 150-acre interactive theme park with more than 50 rides, shows, attractions, an all-new water park and its newest expansion to Miniland USA, the LEGO®Star Wars™ Miniland Model Display. Just 45 minutes from Orlando and Tampa in Winter Haven, LEGOLAND® Florida is dedicated to families with children ages 2 to 12. SeaWorld Orlando lets you dive into endless adventures. Be inspired by the all-new TurtleTrek, featuring the worlds only 3D-360 experience that transports you into the amazing world of the turtle and lets you see it in a whole new way. Connect with the sea through up-close animal encounters. Dive into the exhilaration of the sea in the awe-inspiring Shamu show One Ocean, a multisensory celebration that entertains, educates and inspires. Then immerse yourself in the world of the ray before you glide, speed, soar and spin headfirst like a ray on Manta, SeaWorld's flying coaster. Jump into the action of your favorite movies and TV shows with rides and attractions for all ages. In the evening, head to the lagoon for the new nighttime show, Universal’s Cinematic Spectacular–100 Years of Movie Memories, narrated by actor Morgan Freeman. Explore comic books, timeless tales and blockbuster movies as they come to life right before your eyes! Face the dinosaurs of Jurassic Park® and enter a land where magic is real at The Wizarding World of Harry Potter. Islands of Adventure is the stuff legends are made of. Universal Orlando's newest water theme park, Volcano Bay! Discover discount tickets, view park map & general overview of what to expect at Volcano Bay. Busch Gardens Tampa is the ultimate family adventure park, featuring an unparalleled combination of up-close animal encounters, award-winning live entertainment and world-class thrill rides. Aquatica, SeaWorld's amazing waterpark, blends up-close animal experiences and waters from serene to extreme with high-speed thrills and wide, sandy beaches. Aquatica features the world's only side-by-side wave pools capable of operating both together and independently, while two winding rivers offer different voyages ranging from relaxing to racing. Disney legend has it that after a freak winter storm blanketed the area with snow, Florida's first ski resort was born. When temperatures returned to normal, the powdery snow turned to slippery slush. Slalom courses, bobsled and toboggan runs became downhill water slides. The chair lift carried swimmers instead of skiers. The ski jump became the tallest, fastest water slide in the nation. Disney legend has it that a furious storm once roared across the sea, hurling surfboards into trees, blowing small boats through roofs and impaling a shrimp boat on a peak of a great volcanic mountain. Whether you are navigating the nine exhilarating water slides and streams or conquering one of the world's largest artificially created waves, Typhoon Lagoon promises the most wild, wonderful and wet water adventure known to man or fish. Redefine entertainment with Blue Man Group at Universal Orlando® Resort. This world-renowned show is a curiously captivating mash-up of totally unique live music, unexpected humor, and lots of paint! Even before the house lights dim, you’ll start to experience the humor and style that you’ll only find with Blue Man Group. Take a ride on the new Screamin' Gator Zip Line! Then take the Gatorland Express train and then head on over to Gator Gully Splash Park where kids of all ages can enjoy a good ol' fashioned squirtfest! Don't miss the rare white alligators on display at Gatorland's White Gator Swamp. Featuring four of the world's largest white leucistic alligators known to roam the planet, these giant ivory colored reptiles are each ten to twelve feet in length and weigh over 800 pounds. Experience true free fall conditions, just like skydiving, without having to jump out of an airplane. iFLY's vertical wind tunnel creates a wall-to-wall cushion of air on which you can safely float. There’s no parachute, no jumping and nothing attaching you to planet Earth. It’s just you and the air, and it’s the most incredible adrenaline rush. Children as young as three, to adults as old (or young at heart) as 103 can fly with us. It’s safe for kids, challenging for adults and realistic for skydivers. We provide all the gear and a personal instructor will guide you through your flight. Welcome to Florida's premiere indoor go kart racing. Orlando Grand Prix is over 70,000 square feet, completely indoors, and fully air-conditioned. There are two tracks for two completely different racing experiences. Race these tracks with our unique, electric Italian pro-karts that reach speeds of up to 50 mph! Our facility has the latest technology to show your progress. As every race ends, you will have your own personal race results! Even as you are racing, you will also be able to view your lap times from a projector screen located right on the track. If you think the building looks bizarre, wait until you see what's inside! Come see what's new! Our amazing 10,0000 square foot "Odditorium" looks like it's falling into a Florida sinkhole. Hundreds of fascinating, outrageous and interactive exhibits will entertain the entire family. Explore an unbelievable variety of artifacts and displays in 16 unique galleries that pay tribute to the odd and the strange, inspired by Robert Ripley himself. An indoor amusement park for the mind combining education and entertainment with more than 100 hands-on exhibits for all ages. As you enter the upside down attraction, the ceiling will be under your feet and the ground will be above your head, making it impossible to explore what's inside. At Andretti Karting and Games, we offer more than just the thrill of awesome go karting. There are tons of games, rides, and excitement-filled activities waiting for you, all under one roof! We take our adventure activities to new heights, with zip lining, rock climbing, and a rope obstacle course where you can conquer your fears and master your skills. Of the many unexpected pleasures awaiting visitors to Central Florida, none may be as dazzling as a stroll through the galleries of the Charles Hosmer Morse Museum of American Art, home to the world’s most comprehensive collection of works by American designer Louis Comfort Tiffany. The Cornell Fine Arts Museum at Rollins College is the area's only free art museum and offers revolving exhibitions of art from the Renaissance to contemporary. Unique museum shop, too! Dedicated in 1998, the Mennello Museum of American Art is a little gem of a museum nestled on the shores of beautiful Lake Formosa in Loch Haven Park. The Museum hosts the Orlando Folk Festival on the Museum grounds every February. The festival features two days of folk music and dance and traditional crafts and folk art are on sale. Permanent collections of American, African and ancient American art, and touring exhibitions. Discovery centers, shop and free parking. The Orlando Philharmonic Orchestra is Central Florida's resource for classical music, educational programming and first-rate entertainment. With a variety of musical programs, the Orlando Philharmonic offers something for everyone. Buena Vista Watersports is a tropical, lakefront, Key West-style facility centrally located between International Drive and Kissimmee. Lake Bryan is a natural spring fed lake surrounded by cypress trees with white sandy beaches. Featuring jet skiing, waterskiing, wakeboarding, kneeboarding, tubing, stand-up paddleboarding, and kayaking. ESPN Wide World of Sports® Complex is the home of exhilarating experiences which ignite passion and fuel the spiritis. The 220-acre facility plays host to over 170 amateur and professional events each year. Spring training is when the excitement builds for baseball fans, who can watch Major League Baseball's Atlanta Braves prepare for the regular season. The Braves have made ESPN Wide World of Sports Complex their spring training home since 1998. Orlando City Soccer Club is the professional soccer sports franchise in Florida. Winners of the 2013 USL Pro Championship, the Lions are currently playing at the ESPN Wide World of Sports Complex. Drift away on a relaxing one-hour narrated cruise through the lakes and canals of historic Winter Park for a unique perspective of this beautiful city. Quench your thirst for aquatic adventure and pump up the thrills with parasailing, wakeboarding, waterskiing, tubing and personal watercraft excursions at Sammy Duvall's Watersports Centre. Walt Disney World has four outstanding golf courses: Disney’s Palm, Disney’s Magnolia, Disney’s Oak Trail, and Disney’s Lake Buena Vista Golf Courses. There is also a 9-hole walking course at Disney’s Oak Trail Golf Course. All Disney courses offer lush verdant fairways and tournament-ready greens. Plus, you’re never much more than a 3-wood away from dozens of things to do after your round. So come play on our award winning courses today! Church Street Station is downtown Orlando's new dining and nightlife epicenter located in the heart of the historic Church Street District. With more than 30 venues, the Station features world-class restaurants, exciting clubs, plush bars and a thriving after-hours scene for all ages. Whether you are looking for tapas to die for or a night out you’ll never forget, Church Street Station has it all. World-class restaurants, dazzling entertainment and unique shops line the waterfront at Downtown Disney. Shop in the world’s largest Disney store, dine amid life-size prehistoric creatures, bowl a game at the 30-lane alley and more. 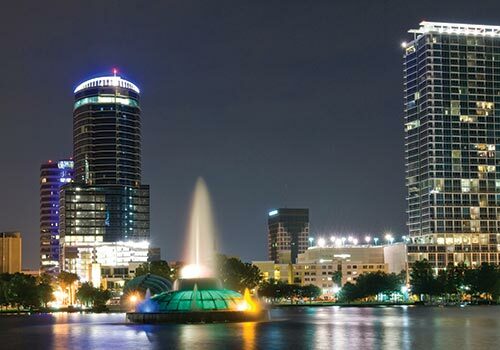 This fun-filled district includes Downtown Disney West Side, Downtown Disney Marketplace and Pleasure Island. Parking and admission to Downtown Disney area are complimentary. Explore Downtown Disney West Side, with the mesmerizing Cirque du Soleil® show La Nouba™, DisneyQuest® Indoor Interactive Theme Park, House of Blues Concert Hall and AMC Pleasure Island 24 Theatres Complex. Dine at top-notch restaurants such Wolfgang Puck Cafe, Bongos Cuban Cafe, Planet Hollywood and House of Blues. ICEBAR Orlando is the coolest night you will spend in Florida. This 27-degree North Pole expedition lets you chill amid 50 tons of sculpted ice (thermal capes and gloves are provided) and signature drinks served in a glass of crystal ice. Try the world famous Penguin Pizz! Next, warm up your dance moves at the adjacent Fire Lounge—the hottest place for music, totally unique cocktails and laid back vibe. First created in New Zealand, Minus5 is the "premier ice attraction in the U.S." This cool concept bar was named for its constant frosty temperature of -5 degrees celsius. Everything inside Minus5 is made of ice—the walls, bar, sculptures, seats—even the glasses. Thousands flock to experience the breathtaking "Art of Ice" and Minus5's team of ice artists are constantly reinventing the environment with new sculptures. Old Town is the perfect stop, day or night, for fun for the whole family! Home to the largest weekly classic car cruise in America, this one-of-a-kind attraction features: over 70 unique shops, amusement rides, dining, live entertainment, nightlife, and an array of FREE family-oriented events and entertainment. Kids of all ages will love taking a spin on one of the many classic amusement rides before heading off to experience the giant Windstorm Roller Coaster or the Super Shot that sends guests into a free fall from 150 feet in the air! And if you prefer to keep your feet on the ground Old Town has you covered with Laser Tag, Go Carts, Bumper Cars and lots of rides for the little ones in your group. Improv Comedy Club and Dinner Theatre has been the career launching pad for dozens of familiar faces of television and film for 40 years. Today, it continues to showcase performers well on their way to join the ranks of famous comedy veterans. The Improv welcomes the biggest names in comedy to their stage, as well as supporting Cantral Florida talent. The minimum age for admission is 21 and over, with valid I.D. 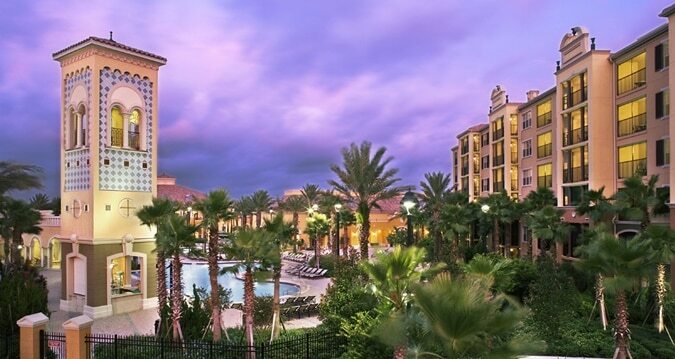 Conveniently located along International Drive across from the Orange County Convention Center, Pointe Orlando is an inviting collection of unique shopping, award winning restaurants and exciting entertainment. 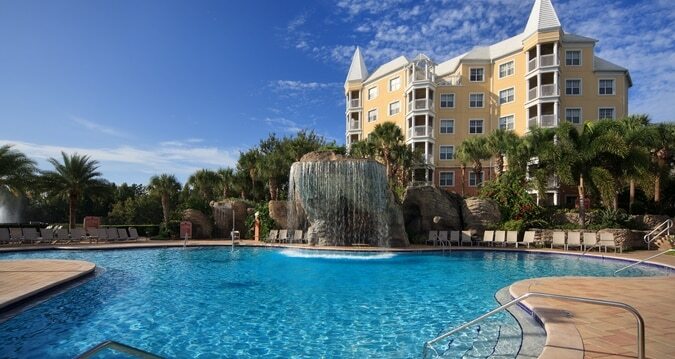 Pointe Orlando is adorned with luscious landscaping and relaxing courtyards, offering a unique experience for all ages. Enjoy exciting nightlife by listening to live music at B.B. King's Blues Club or catch a show at the Improv Comedy Club and Dinner Theatre. 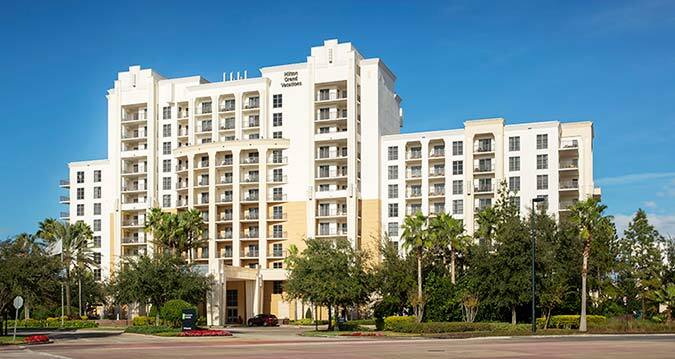 Pointe Orlando is also home to Baterbys Art Gallery, Monkey Joe's and WonderWorks, an amusement park for the minds and Regal 20-screen Movie Theater + IMAX. Universal CityWalk® is Orlando's hottest spot for entertainment. This dazzling entertainment complex is located between the entrances to Universal Orlando Resort's two theme parks. Here you can experience the multi-media theatrics of the world-renowned Blue Man Group. Play 36 holes of mini-golf that include a giant robot, haunted house, flying saucer and more at Hollywood Drive-In Golf™. Chow down on a Cheeseburger In Paradise® at Jimmy Buffett's® Margaritaville®. Listen to live reggae at Bob Marley – A Tribute to Freedom℠. Enjoy great food and the excitement of professional basketball at NBA City, or get your fill of shrimp at the Bubba Gump Shrimp Co.™ Restaurant & Market. CityWalk's Rising Star features karaoke with a twist, where performing guests take center stage as they sing with a live band and back-up singers. 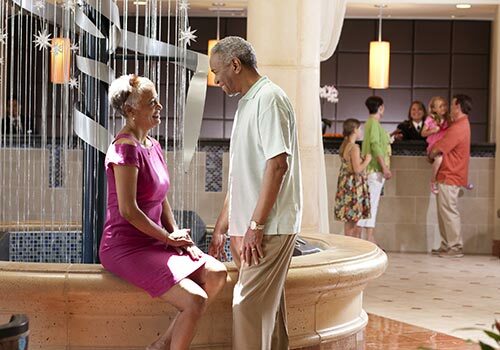 With fabulous live entertainment, sizzling nightclubs, an incredible variety of restaurants and shopping, plus a 20-screen movie theater, CityWalk® makes your nights at Universal Orlando® Resort just as exciting as your days. World of Beer is the best place to sample a variety of brews in a great atmosphere. The extensive selection of over 500 beers & 69 taps from around the world ensure that you will always find a beer that fits your tastes. 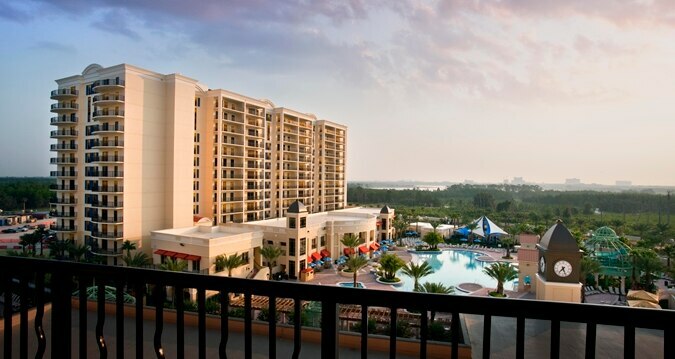 California Grill serves award-winning gourmet dinners and sweeping views atop Disney's Contemporary Resort. Venture into this vibrant and charged atmosphere and watch the creation of culinary masterpieces in the on-stage kitchen. The food is just as spectacular as the view. Inspired by classic cuisines from around the world, yet combined in inventive and delicious new ways, the California Grill's menu reflects the very best of California Fusion cooking. Victoria & Albert's restaurant in Disney's Grand Floridian Resort & Spa offers a unique dinner menu each night of exceptional, contemporary American cuisine served with unparalleled charm and elegance. An 11-year recipient of the prestigious AAA Five Diamond Award, this restaurant serves fine cuisine with wine pairings from an award-winning cellar. The renowned, six-course prix fixe menu is prepared artfully each day with ingredients culled fresh from the world market. Modeled after the trendsetting original Bull & Bear Restaurant in New York City, the first restaurant on the Eastern Seaboard to serve USDA-Certified Angus Beef®, this 159-seat restaurant serves hearty portions of traditional fare in a warm, club-like setting. The menu exclusively features Certified Angus Beef® brand Prime and Natural cuts, a first for a Florida restaurant. Focused service incorporates tableside preparation, an innovation of The Waldorf Astoria in NYC. Chevy's Fresh Mex restaurants provide the ideal setting for birthdays, anniversaries, work gatherings, wedding showers and everything in between. The adventurous, unpretentious food of the Mexican border, seasonal fresh fruit margaritas and friendly, attentive service make each event memorable for you and your amigos. Sea Dog Brewing Co. features craft beer and English ales by two prominent Maine brewaries, Shipyard and Sea Dog. This brew pub serves up delicious New England and Floridan cuisine with two happy hours, live music and entertainment daily. Bahama Breeze is the restaurant that brings guests the feeling of a tropical escape by inviting them to Feed Your Island Spirit® with the food, drink and vibrant atmosphere found in the Caribbean. The restaurant is known for fresh, delicious seafood, distinctive chicken dishes and flame-grilled steaks, accompanied by refreshing, hand-crafted tropical drinks. One step into Rainforest Cafe, and it's clear that diners are in for a wild meal. Located in the exciting Disney Marketplace, Rainforest Cafe has an exciting menu to match. From great starters to mouth-watering entrees, the menu is bursting with adventurous flavors. And last but not least, diners love to close out their wild feast with one of Rainforest's legendary dessert options. Be sure to pick up a rainforest-themed souvenir by stopping at the gift shop once your safari ends. For the wildest restaurant in Disney, stop by Rainforest Cafe! From diverse musical offerings and International & American-inspired cuisine to Gospel Brunch, folk art and a hip Company Store, the House of Blues experience is unique and captivating. Great food, famous memorabilia, and awesome merchandise! At the world famous Planet Hollywood, you'll thrill at the excitement of Hollywood surrounded by the largest collection of famous movie and television memorabilia in the world. Large screens throughout the restaurant entertain with a non-stop video show featuring clips of everyone's favorite movies, previews of upcoming releases and the hottest music videos. In the merchandise store, stylish and new designer lines from premium leather jackets to specialty souvenir items are available for guests to remember that special visit to the Planet. A unique dining experience where guests can eat, shop, explore and discover, T-REX Cafe is situated right in the middle of all the excitement of Orlando's Downtown Disney® Marketplace. With a fantastic prehistoric setting, kids and adults alike get a hands-on experience by digging for hidden treasures, precious stones, gems and fossils. It's more than just an educational experience—it's an adventure. The Dino-Store offers a wide variety of dinosaur-related apparel and gifts including the popular Build-A-Dino™ by Build-A-Bear Workshop®. Themed after a modern artist's loft in Barcelona, Spain, CAFE TU TU TANGO always has a party in progress! Spontaneous entertainment includes flamenco, salsa, merengue and belly dancers, as well as live artists creating new works while you watch. The menu is a chef's work of art featuring all made-from-scratch, all appetizer-style dishes (tapas) with flavors from across the globe! Order several different items for your table to share and pair them with a specialty craft beer, limited production wine, mojito or signature sangria. Indoor attraction offering dining, shopping and entertainment. Public Market/bazaar featuring 200+ unique artists/merchants. Bass Pro Shops Outdoor World, Ron Jon Surf Shop, Sheplers Western Wear and Cinemark 20 Movie Theatres. The Florida Mall is Orlando’s spectacular shopping and tourist attraction as well as the largest shopping mall in Central Florida. A destination for fabulous fashion, fun for all ages and exceptional dining, The Florida Mall spans more than 1.8 million square feet and features more than 250 fine stores and restaurants, including many that are exclusive to Central Florida. 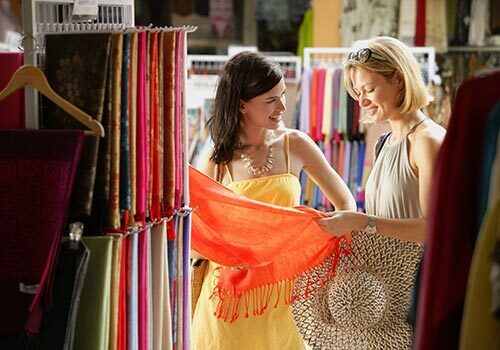 Orlando's award-winning shopping destination The Mall at Millenia is a runway of pure fashion and a playground for those who simply want it all! Indulge in an environment created with impeccable detail, adorned with exclusive art, relaxing fountains and breathtaking glass-ceilings; surrounded by style, elegance, inspiration, creativity, freedom, and the latest trends from Paris, London and Milan! This world-class shopping destination offers a dazzling selection of international exclusive brands. With restaurants like The Cheesecake Factory, Brio Tuscan Grille, The Capital Grille and the upscale cocktail lounge Blue Martini, The Mall at Millenia is, without a doubt, an unforgettable destination for luxury shopping, fine dining and upscale nightlife! Spacious village outlet center two miles south of I-4 on SR 535. Featuring Aeropostale, Calvin Klein, Crocs, Disney Outlet, Eddie Bauer, Fossil, G By Guess, Gap, Jones New York, Justice, LOFT Outlet, Nike, Old Navy Outlet Exclusive, Nike, Rawlings, Timberland, Tommy Hilfiger, Under Armour, U.S. Polo Assn., VF Outlet, resort, spa, dining, and more. Located only one mile from Walt Disney World® Resort on Interstate 4 at exit 68, Orlando Premium Outlets® – Vineland Ave is filled with 160 outlet stores from the most coveted designers and brands. Save 25% to 65% every day at an impressive list of outlet stores. Located close to Universal Studios® at the north end of International Drive is Orlando Premium Outlets – International Dr which is filled with 180 stores offering everyday savings of 25% to 65%. The centerpiece of a lavish winter retreat founded in 1887, Park Avenue has long been the place for a relaxing stroll in elegant surroundings. Experience a unique destination for fine dining, fashion, and art in one of Florida’s most unique and flourishing communities. Bordered by a shady park that plays host to concerts and art festivals, Park Avenue is home to one-of-a-kind boutiques and well-known shops, sidewalk cafes and world-class restaurants, as well as world-renowned art collections in the area’s museums.